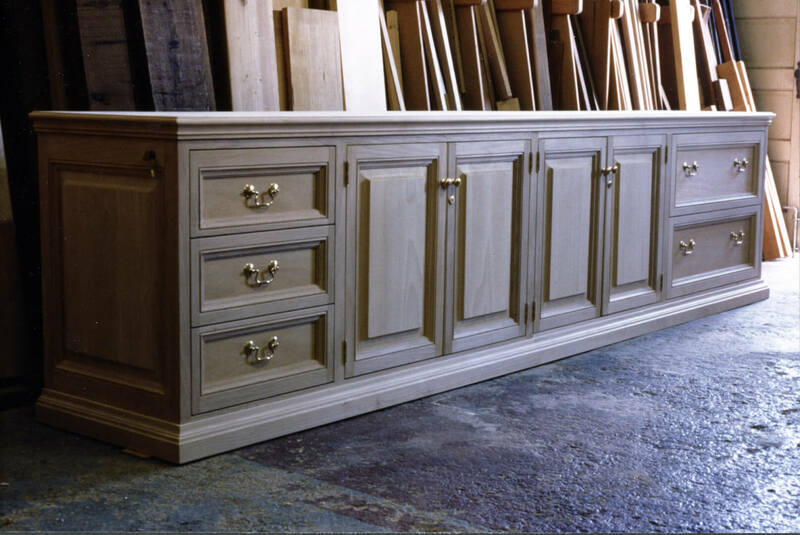 This traditionally-styled office credenza was designed to take a dark finish and featured locking doors and lateral file drawers. 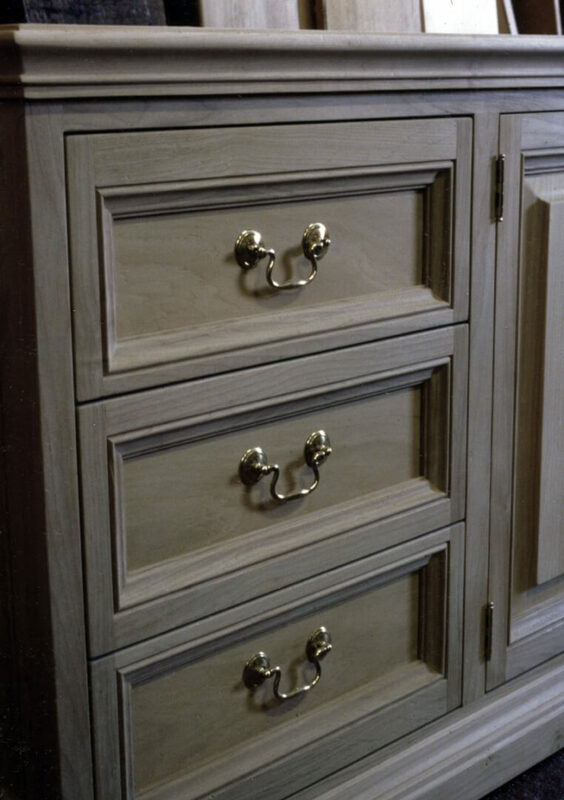 The drawer moldings, as well as top and baseboard details were all custom milled using shop-ground shaper knives. Over the past 40 years, we’ve ground over 200 sets of knives to make a wide variety of molding details, many of which were inspired by sketches made during a four week European tour that included visits to cathedrals, castles and museums.